School canteens across Australia are encouraged to create menus involving the five food groups for students. Pro-Visual Publishing, in collaboration with Healthy Kids Association, aims to increase awareness of the variety of ways to help school canteens provide the most nutritious food possible that will guarantee students coming back for more! This year’s edition educates all school canteens on the importance of maintaining GREEN foods and the methods to make it appealing for children. As a result, there are two main topics concerning this: simple ways to keep it GREEN and how to sell more GREEN foods. It is extremely vital that all school canteens have plenty of food options in order to create a healthy and positive school environment. Other prominent topics featured on the guide include storing food safely and helpful tips to run a safe and clean canteen. Both these topics concentrate on regular maintenance for food storage and hygiene. This is in relation to preventing cross-contamination within the workplace. A clean canteen will ensure students will enjoy a healthy and delicious lunch, whilst benefiting from all the nutrients in the foods. 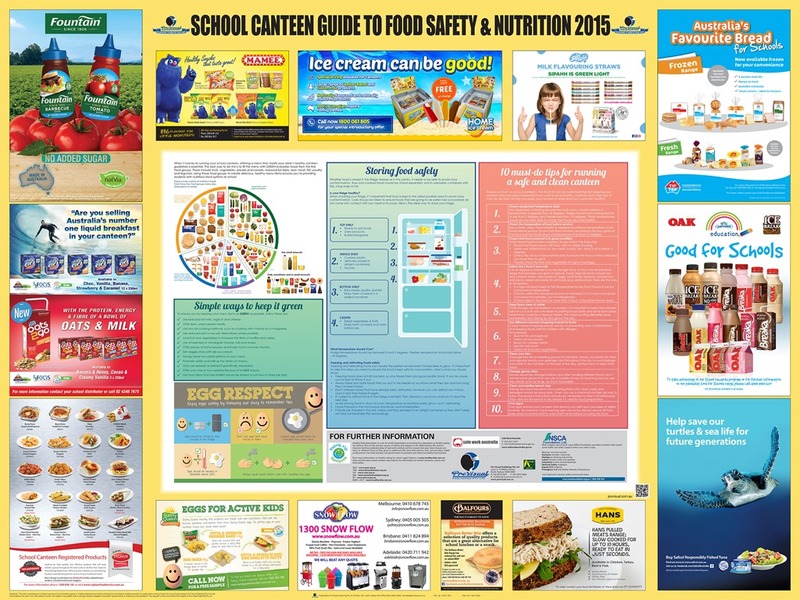 “I would like to thank all of the sponsors of the School Canteen Guide to Food Safety & Nutrition 2015. Their support has made it possible for the guide to be distributed free of charge” – John Hutchings, CEO, Pro-Visual Publishing.